I would love to have been in Paris on May 29, 1913, for the premiere of a new ballet. Choreographed by Nijinsky , with music by Stravinsky, The Rite of Spring was perceived as being so “out there” that the crowd rioted in the streets afterwards! The work itself takes about 30 minutes to play and listen to. I would love to have been in the theater that evening to hear and see something utterly, conpletely new — so innovative, so brave, so organic, that people had no frame of reference for it. I wonder what it would be like to have such fresh ears. The new century was just over a decade old. New ideas had dawned: Max Planck put forth his quantum theory. Sigmund Freud had launched his practice of psychoanalysis. Significant unrest erupted virtually everywhere around the globe: the Boer War, the Boxer Rebellion, the Mexican Revolution, and the ferment that would become WWI –were all setting the stage for revolution. So there was this group of musicians and dancers. 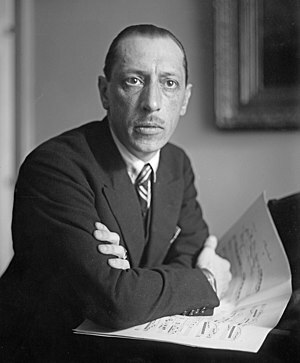 Not politicians, not generals, not scientists — ARTISTS — who, through an act of bringing Igor Stravinsky‘s self-expression to life, caused a violent demonstration. A new day had dawned, and there was no stopping it. Innovation is like that. It perturbs the system, and destroys habitual patterns of doing the most mundane tasks. Smaller revolutions take place under our own noses every day: trying a new brand of cat food, cleaning out a closet, or changing your schedule can be similarly perturbing. Each day, we’re invited to view the world in a new way, and to do something different — and, perhaps, a little better. SO, if I just had an hour, listening to the premiere of The Rite of Spring is the best snapshot of an era that I can think of. It still sounds fresh and shocking today. Each time I hear it, my mind opens, my soul yearns, and my body awakens to the primal rhythms. Most people are not prepared to experience such intensity. The thing that is so amazing about being in the presence of a great work of art — whether paintings, sculptures, works of literature, film, or music — is that the first time you experience it, it is new for you. That newness never goes away. It doesn’t matter if the work is almost a century old, or older: it somehow has the feeling that it was just created this afternoon, The joy of discovery, the delight of the senses, the sometimes head-scratchingly perplexing ideas — all make life so rich and interesting. That is why art is so important, in all its forms. The more, the better, Art, art, art. Create, express, let history decide about the quality. Have your opinion, like it or not, but pay attention. Even art that makes you want to riot will change you and expand your perspective. Even art you don’t like has the power to make you a better person. ← Why Did I Begin?